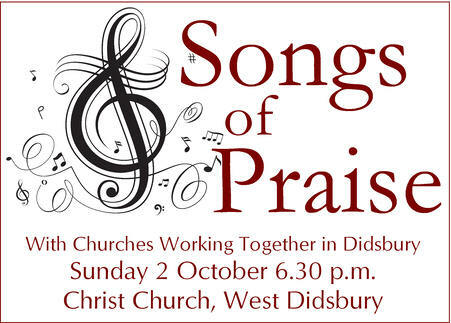 As a curtain closer for Didsbury Arts Festival, Churches Working Together in Didsbury will be joining together for a Songs of Praise evening at Christ Church, West Didsbury (Corner of Darley Avenue and Princess Road) tomorrow evening. Each church will introduce a favourite hymn. We will sing and worship God together and afterwards refreshments will be served. If you are near Didsbury on Sunday why not join us? All are welcome. Today, on the eve of the Conservative party conference, Christian Aid, Cafod and Tearfund will lead an inspiring day of campaigning and worship in Manchester on the issues of climate change and global poverty. 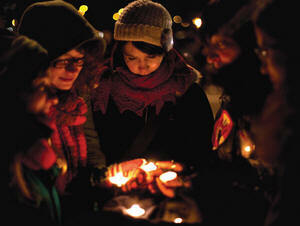 Though registration to attend the event is now closed, you can follow the day’s events on the Christian Aid web site at http://www.christianaid.org.uk/ActNow/climate-justice/bearingwitness.aspx or take part on Twitter by following/tweeting #BearingWitness.